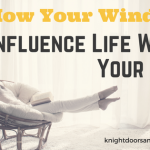 It happens to everyone at one point in time or another, and it’s practically impossible to avoid if you have children or a neighbourhood full of them. Broken windows. But we’re here to let you know that you don’t have to get stressed out if this happens to you! Here are some of our favourite tips and tricks when you end up with broken windows. 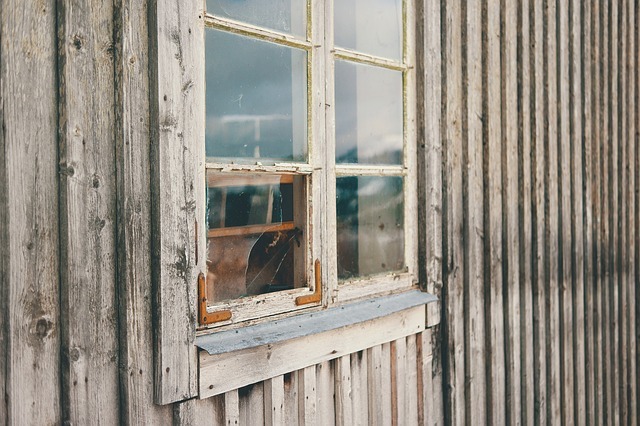 There are three main ways a window can be damaged: cracks, holes, and missing panes. Step 1: Clean up around the broken windows. Protect Yourself: Use work (or garden) gloves to protect your hands and be sure to put on close-toe shoes to protect your feet. Be sure not to touch the floor or windowsill with bare skin! Start Large: Pick up the biggest pieces you can see first. Use the Right Tools: If you own a vacuum with a hose attachment, it will be your best friend during the clean up process for picking up the smaller shards you can’t see. Using a broom can fling pieces of glass around, so avoid using one unless you have no other choice. If you do have to use a broom, sweep slowly and dispose of the broom when you’re done with it. Be Thorough! : Minuscule shards can be practically invisible to the naked eye, but if you get one in under your skin, there will be more problems to deal with. Once you have cleaned up the area, wipe it down with a wet paper towel to pick up any lingering fragments. First and foremost, you want to keep the crack from spreading any further. 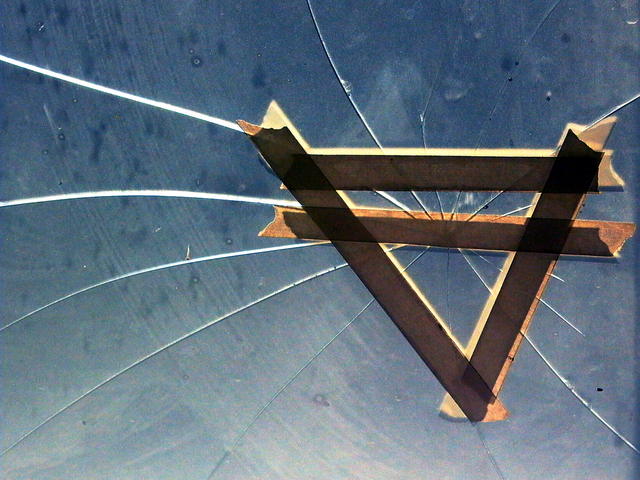 Patch the crack up with a bit of super glue or packing tape to stabilize the pane. If you won’t be able to replace the pane for a while, line the window with a plastic sheet to prevent any loose pieces from falling out. For small holes, you can use clear nail polish to fill in the hole layer by layer. For bigger holes, use plastic sheeting or a tarp to cover the hole and prevent any loose pieces from falling out. If most of the window pane is gone, you want to try to safely remove the rest of the pane. You may need to break larger pieces to get them out. Don’t forget to wear hand protection and have a garbage can nearby to dispose of the pieces you are removing. Brush off or wipe down the window sill to ensure that all glass is removed and cleaned up. Cover the area with a tarp, heavy-duty garbage bags, or plywood to keep weather and bugs out. We highly suggest not trying to replace the broken window on your own. Although there are many websites and videos who claim they can teach you how to do this, the easiest and most cost-effective way is to have it done right the first time. In most cases, you can have the cost of the replacement covered by your home insurance plan. Since most insurance policies cover “acts of God” (including storm damage and vandalism), you may be covered. Unfortunately, if you caused the damage due to your own negligence, chances are they won’t cover the costs fully. 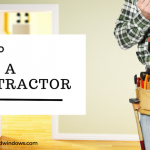 Having broken windows can be an inconvenience, but knowing these steps can help cut the time in half. Contact us today if you have any questions about windows or need to have your windows replaced!